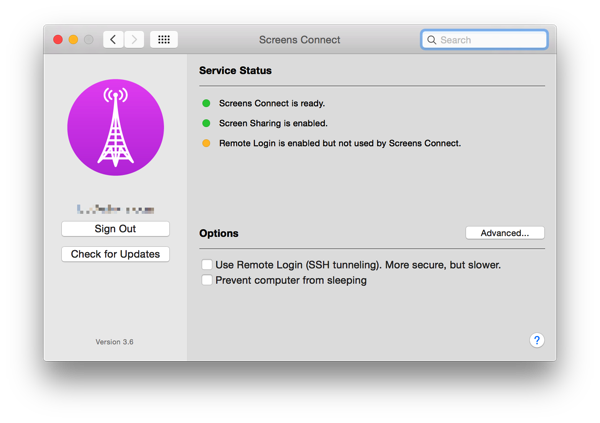 Yes, I’ll admit that a major update to Screens Connect has been long overdue and we have been working on one for quite a while. However, we had to concentrate on Screens lately because things got pretty busy and we had to work on stability issues for both Screens iOS and Mac. You need to understand that we’re a very small team and that our resources are quite limited and we sometimes have to prioritize an app over another. Now that things are now under control, we were able to get back on that new version last week and put the finishing touches to Screens Connect 3.6. Yeah, your pal told us earlier. 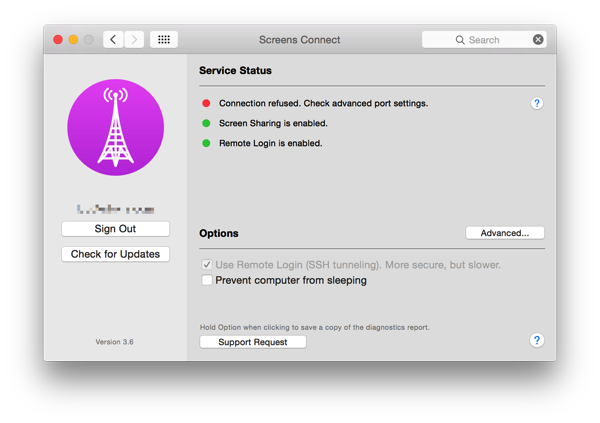 FYI, Screens Connect 3.2.3 was actually released on November 4, 2014. Give me a break! At first sight, nothing much has changed and you’re right. Visually, nothing has, except for when an error occurs. We’ve improved the presented error messages and added a Help button next to them to give you more information about the problem and how to resolve it. You can also send us (or save) a diagnostics report, which is invaluable for understanding an issue and help you. Of course, there’s more to it! Version 3.6 is a complete rewrite of the preference pane and everything that is behind it. The result is a much more stable service. We also performed some tweaks to the service so that it works in a more vast range of configurations and environments. One new cool feature is that Screens Connect will now perform a connection test with your configuration to see if your computer is reachable from the outside. We’re still not done with Screens Connect 3.6 but I wanted to get it out there so you can give it a try! Version 3.6 requires OS X 10.9 Mavericks or later! ← Save Big On Screens Thanks To App Santa! ©2008-2018 Edovia Inc. All Rights Reserved.